The Rock of the Virgin Mary is an iconic Biarritz landmark. The rock owes its name to the statue of the Virgin Mary looking out to sea from atop the rocky outcrop since 1865. 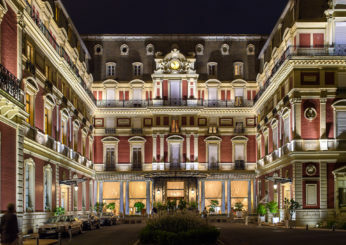 Legend has it that fishermen from the port of Biarritz were caught in a terrible storm while out at sea hunting whales. A divine light guided them back to port and the survivors erected a statue of the Virgin Mary in gratitude. 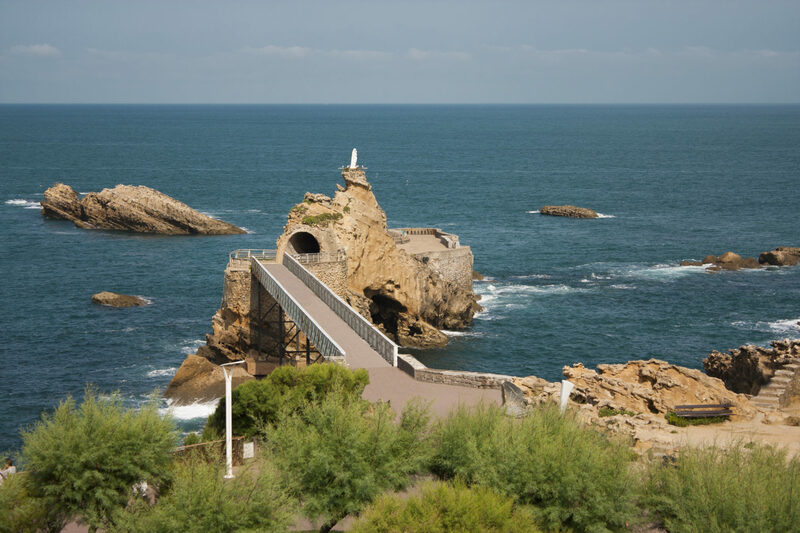 Napoleon III decided to cut a tunnel through the rock and had a bridge built to make it accessible from the seafront. The first wooden bridge did not withstand the crashing waves of the Atlantic Ocean. However, in 1887, Gustave Eiffel was instructed to design a metal bridge, which still stands today. 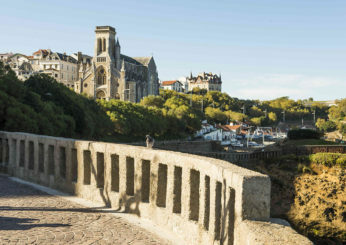 A pleasant stroll takes you across the bridge to enjoy a stunning view of the Basque coastline.